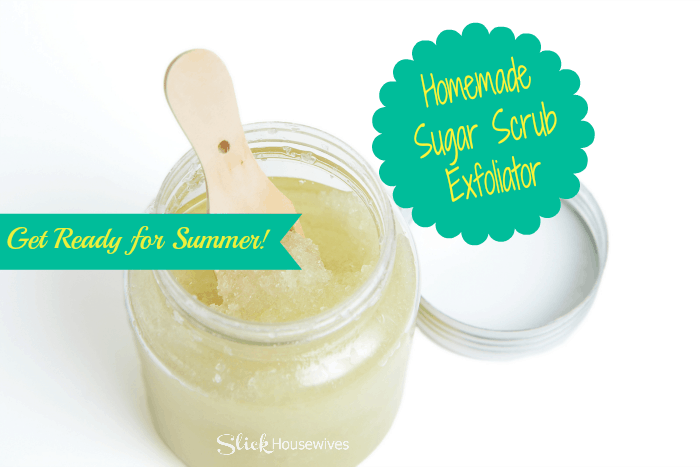 This Homemade Sugar Scrub Exfoliator is perfect to get your skin ready for the summer and get rid of dead skin cells. I love ginger and it acts as an anti-inflammatory. It helps to decrease redness and energize your skin. Who doesn’t want tighter, more youthful skin? This homemade sugar scrub is perfect to give as a gift or keep for yourself! You can also change up the essential oils and use something different than me. I love the smell of lemon and it’s so uplifting! I like using DoTerra Essential oils because they are great quality and really work! I’m not a consultant, and I find the best prices on Amazon for DoTerra Oils! In a small saucepan over low heat, melt the coconut oil. Continue heating for 5-10 minutes until ginger scent and juice has transferred into the oil. Remove from heat and press through a fine mesh sieve or through a coffee filter. While the oil is still warm, mix together with cold-pressed oil. Stir to combine and allow to come to room temperature. Stir in sugar and salt. Scent with essential oils as desired. Stand in a steamy shower for a minute. Using the wet washcloth, wipe excess from skin. Rinse and repeat until oil is washed away. Hope you enjoy your Homemade Sugar Scrub Exfoliator!